Allow Clean Cut Lighting to hang lights for your special event. We can hang lights for dances, parties, and any other event you may want. 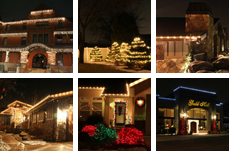 Setting the standards among event lighting companies in Utah and other places, we have years of experience in helping customers design how they want their lights to look, installation and take-down. Our goal is to take the load off your plate for a reasonable price. Call us for your free design consultation and price estimation on our Utah special event lighting services. You will be surprised at how affordable lighting can be for your special event. 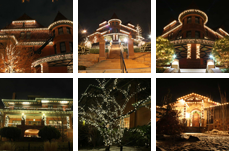 Visit our special event lighting company in Utah and be sure to check out our other available services, which include Wedding Lighting and Christmas Lighting.